We have revised our website, to retain the strengths of the diary based site www.bcnsociety.co.uk, but to allow more flexibility for news pages – hence you will actually flick between two sites. All of the posts prior to this one are items taken from the “news” section of the older part of the site. Posts from after this will be current news. Your webslave will bow out – my job is running the site, not editing and contributing. 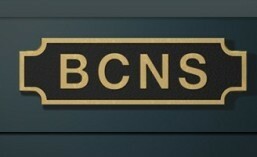 We welcome contributions from anyone interested in the BCN – use the form on the tab Contribute to BCN News, and I will send you an invitation to contribute.